G-52, Sector 6 Noida - 201301, U.P. Padmanchal Greens Pvt Ltd is one of the most promising real estate companies in Northern India. The strength of the company lies in incorporating new and advanced technologies into each project. Padmanchal Group strives to provide a heightened level of comfort and luxury along with modern facilities to all their clients. The company is established on a foundation of hard work, commitment and total dedication to each of their projects. Keeping a client-centric attitude, the Padmanchal Group has grown leaps and bounds in a short span of time. Padmanchal Greens Pvt Ltd has developed several projects across the country. The company’s expertise lies in developing both residential and commercial properties, with every project standing a head above its competition in terms of quality, novelty and cost effectiveness. Selecting and developing projects at prime locations is a specialty of the Padmanchal Group. 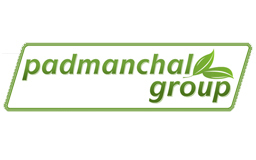 The Padmanchal Group is managed and promoted by individuals with years of experience under their belt. The core team of proficient engineers, architects and designers is widely acclaimed throughout the industry. The vision of the Padmanchal Group is to be the most sought after name in the industry through a combination of commitment, innovation and customer support.